Psoriasis on the forehead appears quite often. The most vulnerable zone is the forehead – the hairline to be more precise. 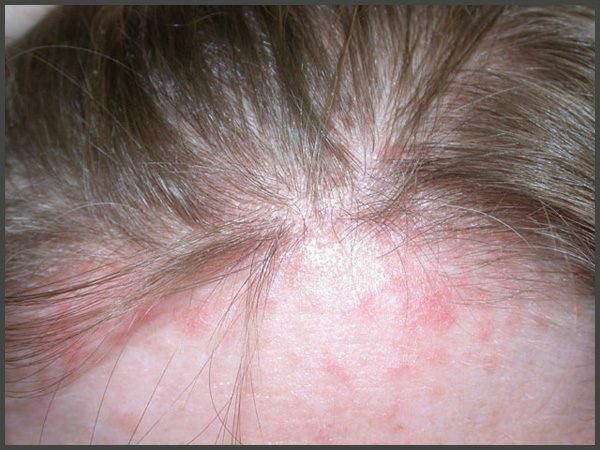 Psoriatic spots in this area often create a so-called “psoriatic crown”, which encircles the head.